Headquartered in Fairfield, NJ, Decker Tape is a printer, converter and specialty manufacturer of a full line of pressure-sensitive tapes, serving a unique niche in the tape distribution channel. Decker Tape does not coat (apply adhesive) to their products; they stock jumbo rolls of tape from major manufacturers allowing them to offer a wide range of tape products from every major line. 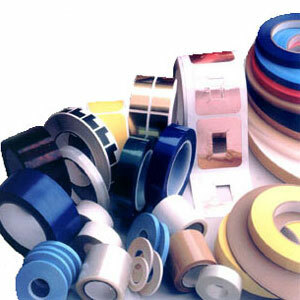 This affords them the flexibility to be a complete source for tape to their distributors. Experts at custom slitting, die cutting, spool winding, printing, laminating and sheeting, Decker will fill an order of almost any size and cut to exactly the width and length specified. Decker has earned a reputation for quality craftsmanship, competitive pricing and quick turn-around on orders as small as one case or as large as truckloads.